Spiti is the sub division of Lahaul & Spiti district with its hqrs. at Kaza. It is called "Little Tibet" because it has almost the same terrain, vegetation & climate . 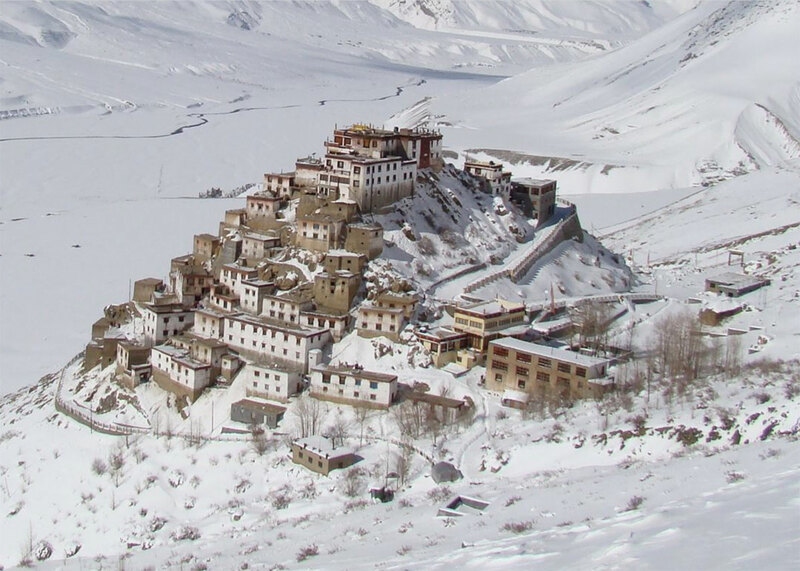 Spiti also means "Middle Country". It lies between Tibet, Ladakh, Kinnaur, Lahaul & Kullu. From Shimla via Kinnaur there is a motorable road which remains open upto Kaza for 8 to 9 months. About 10kms. ahead of Pooh, Satluj enters India near Shipki la & Spiti river joins it at Khab. The road then goes to Sumdo via Hangrang valley. From Sumdo Spiti valley starts. Budhism as their faith and bhoti is the spoken language. The people are simple and honest. The main Spiti valley is split into eastern and western valleys. They are connected with Ladakh & Tibet on eastern side & Kinnaur and Kulu on western side through high passes. The Spiti river flows fast through deep gorges at some places.